I’ve always wanted to grow Aubergines (US readers: that’s an ‘egg plant’), but I just can’t get them to a harvestable level. I’ve been trying to grow Aubergine ‘Black Beauty’ since 2011, pretty much every year but only got close that year, and again in 2017 (when I switched to Aubergine ‘Early Long Purple 2‘), but they just don’t give me any fruit bigger than a radish on a cold day. 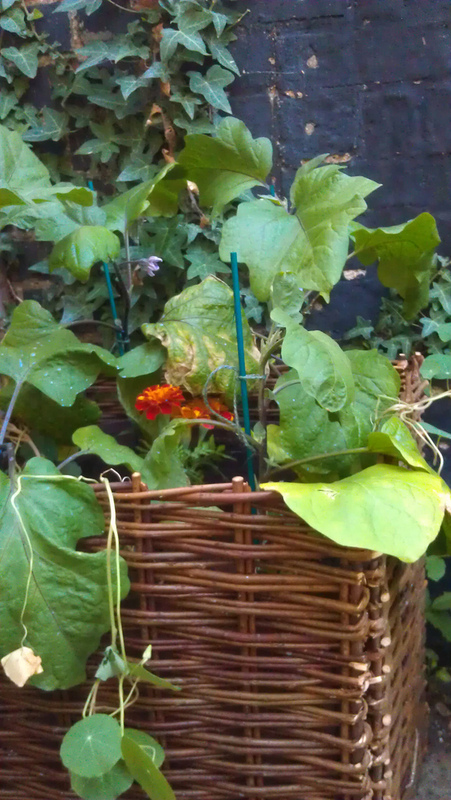 Aubergines in a wicker basket did well in 2011. The plants are always healthy and their silvery green leaves are quite elegant, but years into trying, I’m going to stop. Even 2017’s raised bed saw them grow well, but in the end they seemed to run out of steam. It’s not that I’m not sowing them early enough – I’m following the packet. I just don’t have a greenhouse, and have no plans to. It’s important to know when to stop and move on. In 2017, after gales, baking sunshine, and waves of blackfly, I did get a bumper crop of Tomato ‘Minibel’ but I threw most of them away as they were turning faster than I could eat them. I only eat them in salads, and whilst their small red plump fruits were delicious and fresh, I just wasn’t able to keep up (not least because of the Courgette glutz). 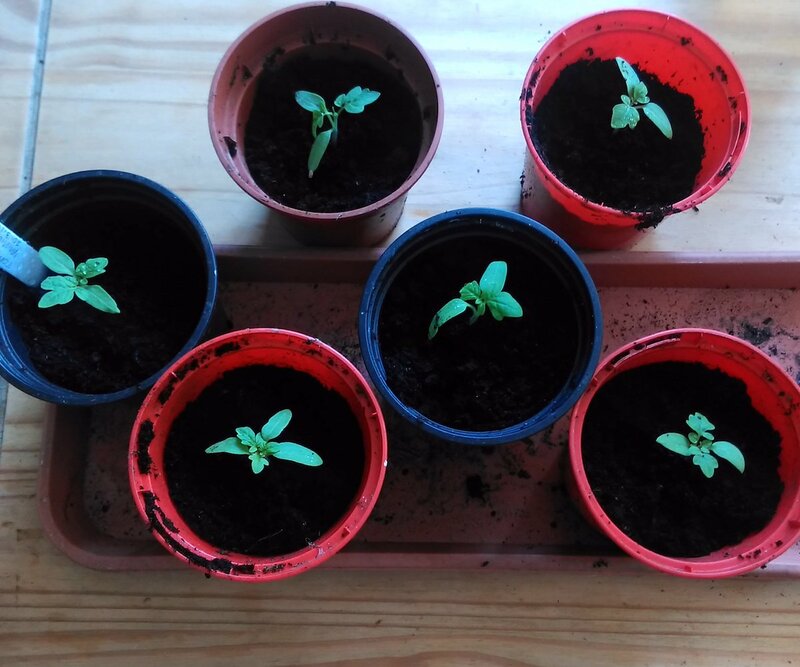 I’ve decided that I probably won’t bother growing them in 2018, or if I do, it’ll just be a couple of plants. Instead, I’ll try out some new produce instead – Turnips and Broad Bean are top of my ‘must grow, must eat’ list for the new year.